Cardinal Justin Rigali announced at a news conference this morning [July 19, 2011,] that Pope Benedict XVI has named Archbishop Charles J. Chaput O.F.M. Cap. as the 13th Bishop and 9th Archbishop of Philadelphia. Archbishop Chaput [currently of the Archdiocese of Denver]will be Installed on Thursday, September 8, 2011, the feast of the birth of the Blessed Virgin Mary, in the Cathedral Basilica of Saints Peter and Paul at 2:00 p.m. 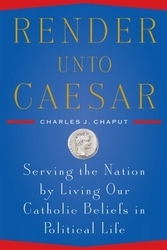 In his [book], Render Unto Caesar: Serving the Nation by Living our Catholic Beliefs in Political Life (New York: Doubleday), which was released on August 12, [2008,] Abp. Chaput tries similarly (albeit with more sophistication) to light a fire under the grown-ups who belong to the wealthiest, best-educated and most influential generation of Catholics that the United States has ever seen. The author, who has been a bishop for [twenty-two] years, sets out his personal views as a Catholic citizen but from a pastoral perspective. “I deal with the human problems that drive public policy every day…. I’ve grown increasingly tired of the Church and her people being told to be quiet on public issues that urgently concern us. Worse, Catholics themselves too often stay silent out of a misguided sense of good manners” (p. 3). 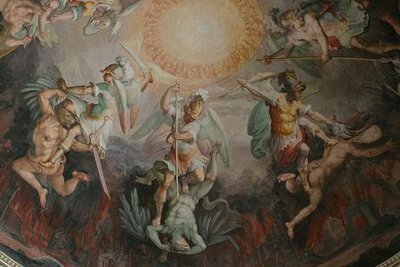 In response to the chorus of voices that would banish Catholic thought from public life, Abp. 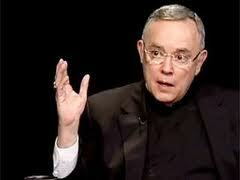 Chaput has written “a statement of common sense amply supported by history, public record and fact” (5). His book is non-partisan and non-scholarly yet highly informative and inspiring, a well-reasoned plea for his readers “to find again the courage to be Catholic Christians first—not in opposition to our country, but to serve its best ideals” (7). The cornerstone of his approach is the conviction that “Christian faith is always personal but never private” (10). Faith in God had practical implications for the Founding Fathers and still has for us today. “Like it or not, American Catholics are part of a struggle over our nation’s identity and future” (11). Whereas Chapter 1 proposes a “mission statement”, Chapter 2 addresses the challenge of freedom in the modern secular world. “America runs on an ideal of the human person… [having]innate dignity and potential for greatness…. The United States has always been a nation of individuals bound together in a common cause of opportunity and freedom” (18). The downside in recent decades, of course, has been excessive individualism, ruthless economic competition, consumerism and a coarsening of popular culture. Current divisions over the role of faith in American society run deep. Scientific atheism has become “the glue for a new kind of knowledge oligarchy” (26). A milder strain of doctrinaire secularism “rewrites history [and]subtly uses fear” to persuade the citizenry that social progress is marching toward the goal of “fully secularized public life” (27). The author reminds us that the present state of affairs was not inevitable but rather the result of decades of political struggle. He succinctly notes that “Believers can push back” (30). Chapter 3 is a brief but profound lesson in Christian anthropology. The believer’s response to “the world” should not be merely defensive or reactionary; Christian faith has its own inherent dynamic. “Relationships have consequences in actions…. Our relationship with God is no exception” (37). Since human beings are social animals, the laity are called to bring the Good News into the marketplace, individually and through concerted efforts. This is simply a contemporary paraphrase of New Testament imagery: “leaven in the world, salt of the earth”. Discipleship is costly, but in the long run so is accommodation to the prevailing culture. Render Unto Caesar falls neatly into four parts. The second quarter is an historical survey. “A man with amnesia may accept nearly any story about his past, no matter how misleading, as true. The same applies to nations and communities—and also to churches” (62). Chapter 4 outlines Church-State relations from early Christian times. The Letters of St. Paul counsel prayer for temporal rulers and obedience to them. In 313 A.D. Emperor Constantine ended the official persecution of Christians but entangled the Church in the political order. Augustine defined “the ultimate priority of religious matters, but the practical autonomy of civil authority and religious authority” (70) in his seminal work, The City of God, which remained influential until the late Middle Ages. Seventeen centuries of “wrestling with Constantine’s legacy” led to the Western European concept of “limited government under God” (71). Chapter 5, on “The American Experiment” explains the natural-law foundation of the Declaration of Independence, discusses the religion clause of the First Amendment, and cites Tocqueville’s impressions of the free, literate and religious people in the thriving young nation. Striking portraits—for example of Charles Carroll, the one Catholic “Founding Father”, and of John Courtney Murray, an American Jesuit who helped draft the Vatican II document on religious freedom—keep the theoretical issues grounded in human experience. Chapter 6 deflates a lot of “creative alibis” by giving an objective, balanced account of the Second Vatican Council, its preparatory phase, the actual deliberations and the resulting documents, especially the Dogmatic and Pastoral Constitutions on the Church, and the Declaration on Religious Liberty. The debates on these subjects “still shape American Catholic life today” (111). “Lumen Gentium both affirmed and adjusted Catholics’ understanding of their Church” (113). In the mind of John XXII, “the Council should neither indulge nor condemn the modern world” (117). In the third quarter of the book, Abp. Chaput proves to be an astute commentator on the contemporary scene. Chapter 7 examines “What Went Wrong” after Vatican II: unrealistic hopes, confused ecclesiology, new social factors (e.g. 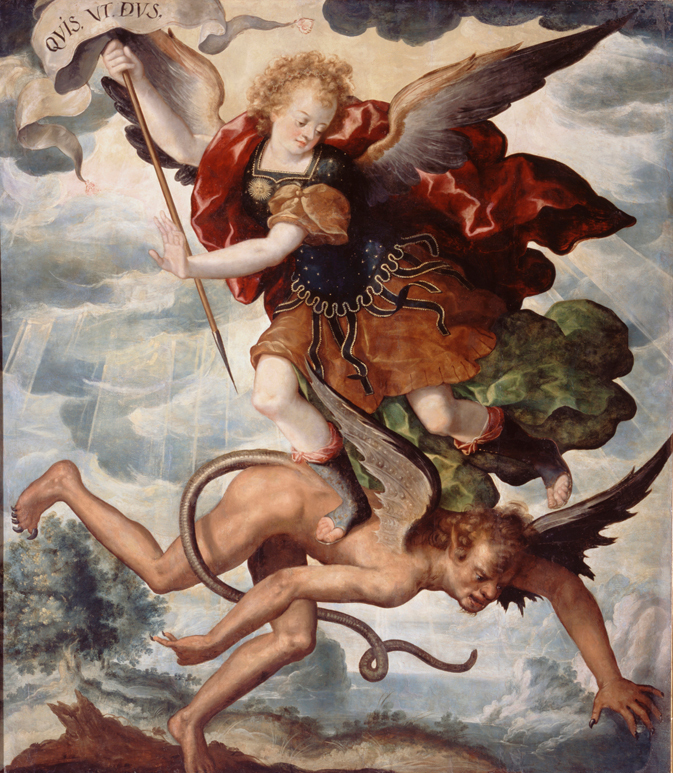 contraception), and the hijacking of conciliar doctrine. Meanwhile the United States had become a global power, American Catholics had entered the mainstream and President Kennedy had made his fateful promise to separate his Catholic faith from his public service. “Vatican II may have assumed a maturity and zeal in Catholics that too few of us have lived—or even understood” (137). In describing what has happened to American political life since the Sixties, the author quotes sociologists but also humorists such as Stephen Colbert (“truthiness”) and David Brooks, who identified “the Bobos” or “bourgeois bohemians” that want it both ways. Chaput is widely read but also an insightful student of human nature and current trends in his own right. Chapter 9 consists of an extended portrait of St. Thomas More, “the heavenly patron of statesmen and politicians” and a model of courage and conviction. Actually it is a triptych, because it goes on to describe two devout Catholics from the same political party who served as governors twenty years ago: one was “personally opposed to abortion, but…” while the other was staunchly pro-life. The arguments of each politician are summarized courteously, but in light of More’s witness their records speak for themselves. In the final quarter the author rallies the troops of the Church Militant. Decades of accommodation by Catholics has failed to improve American society. True renewal must come from within, in two senses: through individual, interior conversion and turning to Jesus Christ, and through the witness of Catholic laypeople in the midst of society. The author reserves for the next-to-last chapter his reflections on the Gospel passage in which Christ’s opponents ask him whether it is lawful to pay tribute to Caesar. Then in Chapter 12 he confronts the thorny issue of whether to give Communion to Catholic politicians who dissent from Church teaching. Abp. Chaput tells us what he would do in various situations, depending on whether the dissenter was from his own diocese. He also declares that as a Catholic he personally could never vote for a pro-abortion politician; he offers a startlingly simple criterion for determining what a “proportionate reason” for doing so would be. The author gently but firmly reminds the reader that both the Blessed Sacrament and human life are sacred. Abp. 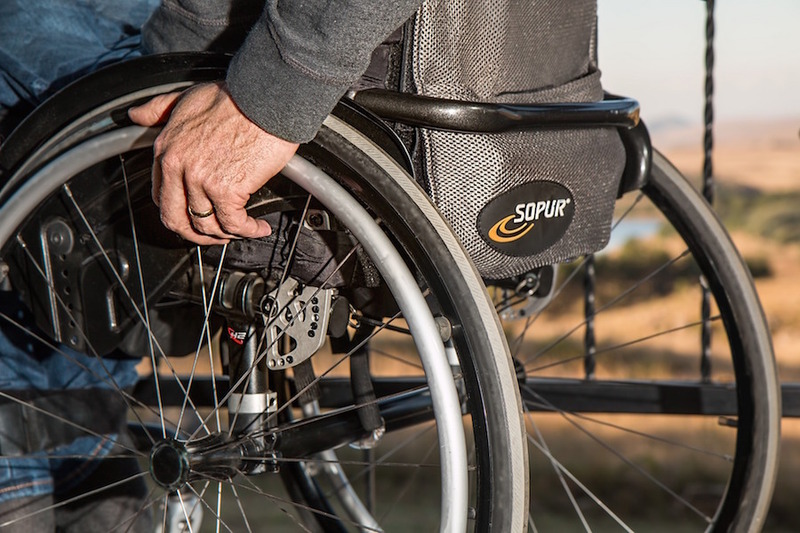 Chaput’s clear Catholic perspective on the human person in community and community in history enables him to navigate skillfully between contemporary culture and the deeper issues. His prose is unfailingly calm and considerate yet reveals a keen sense of irony and a formidable wit. Render Unto Caesar, is an edifying, enjoyable read. For several election cycles now, Abp. Chaput has been a particularly eloquent defender of the Church’s right to bring “Christian wisdom… forcefully to bear on the practical affairs of the world”, even though “that can thoroughly irritate the world and also Caesar” (49). His articles on Church and State relations appear in his archdiocesan newspaper and in national publications such as First Things. American Catholics are fortunate that His Grace took the time and made the effort to present his teaching and share his pastoral wisdom in a more permanent format.